TELANGANA: The Telangana state assembly has passed a bill to increase reservation in educational institutions and also in jobs for Muslims and Scheduled Tribes. 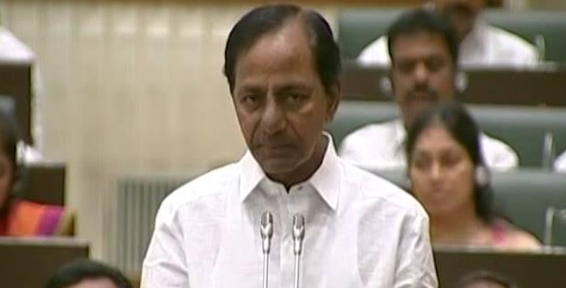 Chief Minister K Chandrasekhar Rao on Sunday had moved a bill at a special session of the State legislative assembly that proposed to increase quota for Muslims from 4 per cent to 12 per cent and for Scheduled Tribes (ST) from 6 per cent to 10 per cent. 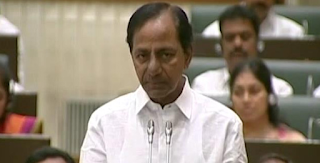 Telangana Chief Minister K Chandrasekhar Rao had moved the Backward Class, Scheduled Castes and Scheduled Tribes Reservation Bill, 2017, in the State legislative assembly today to increase the quota for socially and economically backward among Muslims under the Backward Classes (E) category. The BJP said they support the quota hike for STs from 6 per cent to 10 per cent but oppose the hike in reservations for Muslims, saying it amounts to communal politics. It wants two separate bills to hike quota for Muslims and STs. Union Minister for Information and Broadcasting Venkaiah Naidu has been quoted as saying this cannot be allowed as this will pave the way for a mini Pakistan in India. Five members of the BJP were suspended as they tried to stall the proceedings to protest the bill for raising the reservation quota for Muslims in the state. Speaker Madhusudhana Chary suspended the members after Legislative Affairs Minister Harish Rao moved a resolution to this effect. BJP leader G Kishan Reddy and the party's state President K Laxman were among those who were suspended from the house. Mr Reddy termed the bill unconstitutional and said it would not stand judicial scrutiny. He said the BJP was strongly opposed to reservations on the basis of religion, and alleged that injustice was done to the Backward Classes by including Muslims in the BC (E) category. The chief minister clarified that the reservations were being provided on the basis of socio-economic backwardness and not based on religion or caste as some parties were trying to mislead people. He pointed out that STs are currently enjoying 6 per cent quota though their population as per 2011 Census is 9.8 per cent. He assured Backward Classes that there will be no injustice to them because of increase in quota for the BC (E) and announced that the quota for the BCs will be increased. The state government has directed the BC Commission to submit a report within six months. Mr Rao also said that the reservation for the SCs, who constitute 16.3 per cent of the state's population, will be increased by 1 per cent. He said the government would soon constitute an SC Commission. The SCs are currently enjoying 15 per cent reservations while the BCs have a total quota of 25 per cent. The Chief Minister argued that there is no constitutional bar on providing more than 50 per cent reservation. He said with 90 per cent of Telangana's population comprising the BCs, SCs, STs and minorities, the state definitely needed more than 50 per cent reservation, and pointed out that states like Tamil Nadu and Jharkhand were already providing more than 50 per cent quota. The proposed quota hike now takes reservations up from the present 50 per cent to 62 per cent in Telangana. BJP Opposes: Hikes Muslim Reservation Quota From 4 to 12 Per Cent in Telangana The proposed quota hike now takes reservations up from the present 50 per cent to 62 per cent in Telangana.